Shockingly dull despite a bloated wealth of detail about its subject, Casino Jack and the United States of Money makes for a plodding, too-clever examination of lobbyist Jack Abramoff. The new film is directed by Alex Gibney, a talented documentarian who lacks the snark of Michael Moore and the encyclopedic view of Ken Burns (though neither of these are necessarily bad things). Gibney’s two previous efforts, Taxi to the Dark Side and Enron: The Smartest Guys in the Room were so powerful and well-made that they make Casino Jack look like a rank amateur’s first try. From awkwardly obvious and blaring musical cues to a no-style film style, Gibney trudges through a case well-documented by every news outlet in America without ever shedding any new light on matters or revealing anything of interest. When, late in the film, an image starts to skew slightly (as “arch villains” were displayed on the old Batman series), you really feel like he has nothing to offer on the subject. But perhaps the bigger issue is that Gibney has chosen an extremely unlikable subject, one more suited to a dramatic interpretation. In an upcoming feature, Kevin Spacey will play Abramoff, and one can already imagine the sly, oily character we’ll get on screen. But the real guy is pretty much a stuffed shirt, a College Republican National Committee chair who teamed up with Karl Rove, Ralph Reed and Grover Norquist to turn the Republican Party of Reagan’s era into a far-right-wing success machine. And as their lobbying efforts grew, their control of key politicians such as majority whip Tom DeLay tightened. 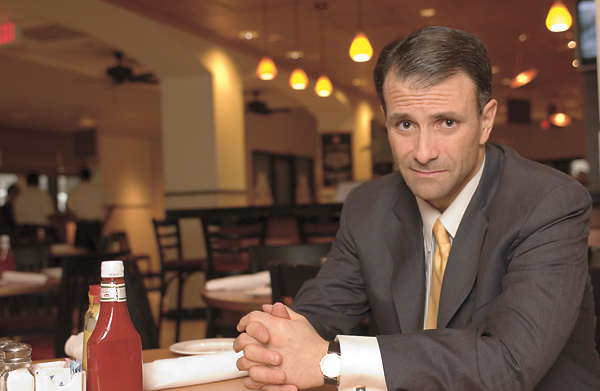 But Abramoff’s questionable dealings continued to escalate, from lobbying for Pacific island sweatshops and U.S.-based Indian casinos, where he managed to bilk everyone he represented out of millions, with little concern for those impacted by his crimes. Now in prison, Abramoff allowed Gibney to interview him extensively, but for some reason did not allow him to film any of it; Abramoff’s “narration” in the film is actor Stanley Tucci. Perhaps if Gibney could have arranged some screen time for Abramoff, and narrowed his focus a bit rather than trying to make an all-inclusive tale, Casino Jack might have been something intriguing. As it stands, it is both frustrating and maddening not only for its display of the man’s extensive wrongdoings, but for the cinematic immediacy of being a muddled, boring film.